According to the Wise Witches Society, this moon is known as the Hare Moon; the sacred animal was associated in Roman legends with springtime and fertility. This month our new Priestess Maia has written the ritual and will be leading the circle. Please give her the expect and courtesy as outlined I our Circle Guideline. If this is your first time joining us Lady Beltane needs to approve your request to enter the chat room. 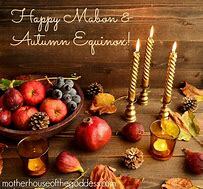 For Esbat and Sabbat gatherings times the last time she checks for people pending to join us is 6:55 PM CT the evening/morning of the gathering. The gathering guidelines can e found on covenlife.co Homepage. One of the many names this moon is known as is the April Pink Full Moon. You could decorate your altar with pink flowers or any early spring flowers. Or use your favourite incense that is floral. It should be airy, light, and bring spring to mind. It is a time to remove clutter, to prepare for the spring ahead. As we remove the weeds and clean up after the winter months, we also need to simplify and organize our lives to start the spring fresh. Unless you are present in the Chat room and internet issues disconnect you please do not enter chat room after circle is cast. The reason for this is so the circle remains whole to contain the energy we are raising and to keep anything negative out of our circle. Thank you for your cooperation with this. A small plate for the pebbles – up in your life. For example – old debts, stagnant relationships, time consuming activities that you no longer are passionate about, an updated resume, etc. Anything you feel is “cluttering up” your life, or hindering you from moving forward. Watchtower of the north, please protect this circle and those inside and out and let no harm come to them. Watchtower of the east, please protect this circle and those inside and out and let no harm come to them. Watchtower of the south, please protect this circle and those inside and out and let no harm come to them. Watchtower of the west, please protect this circle and those inside and out and let no harm come to them. We call upon the Goddess Aradia to teach us the magic of her mother Diana. I cast this circle three times three and ask the Goddess Selene and the God Cernunnos to bless us and lend us their power and energy. We ask Spirit to join us to guide us in peace and love. Allow the revered guests to join us and feel their presence. Everyone: Please type in your name and city where you live. Priestess Mais- Merry greet and thank you for joining here this night. change. When you are ready, drop the stone into the bowl of water and say, As the water cleanses the pebble, so too does it allow me to …..(insert your desire (eg. Wash away old debts, clear my schedule, make time for, etc). Continue until you have used all the pebbles you collected. Type in done when you have finished. Priestess Maia- I will now close the quarters. Watchtower of the north, thank you for protecting this circle and those inside and outside. Watchtower of the east, thank you for protecting this circle and those inside and outside. Watchtower of the south, thank you for protecting this circle and those inside and outside. Please return from where you came. Everyone: We give thanks to Goddess Aradia for her presence and her magic. Blow out the pink candle. Thank you Goddess Selene and God Cernunnos for lending your power and energy. Thank you Spirit for your blessings. Blow out the white candle. Priestess Maia –The circle is open, but never broken. Go in peace and love knowing you now have a fresh start. What will We not do for our dear friends? Once upon a time, Sun and Moon, husband and wife, invited their friend Water to stay with them in their very large house. Alas, their home was not big enough! Water and his features quickly filled the house and spilled into the surrounding gardens. Sun and Moon had no where to go but . . .up! This is why Sun and Moon live in the sky. For you, dear friend, anything. keep the stone that resonates with you, and give the other to a beloved friend. The name Pink Moon comes from the pink flowers – phlox – that bloom in spring. Other names for this Full Moon are Sprouting Grass Moon, Fish Moon, Hare Moon, Egg Moon, and Paschal Moon. This information is from timeanddate.com. The website has a lot of informationon about the Sun and Moon phases and the when the seasonal changes will happen. While your city might not be in their data base another town close to should be. If you live in a very rural area or outback or the Bush or whatever more isolated towns are called where you live lol up the closest major city to you. Then with knowing that time you can watch for the rising or getting Sun and know how many minutes to add or subtract to get the exact time for where you live. It might take up 2 or 3 complete Mon cycles before you get the slight time difference figured out. When I was looking for the tie closest to me I notice something I found interesting April’s Full Moon this year is on the 19th at 6:12 AM Central Time zone and next year it is on the 7th at 9:35 PM Centrala Time zone. I find it planetary movement helps me not only with spells and/or rituals it also helps me connect to different Goddesses and Gods that I want. To know better. Especially the Dark Moon phase which comes 3 days before the New Moon through meditation I have found I can talk to my Spirit Guide, Goddesses, and God’s easier and better then during any other of its phases. A loving celestial team is constantly protecting, guiding and assisting you. Using their help and wisdom makes your life much easier, joyful and fulfilling. The more you understand how they communicate with you, the easier it is to follow their guidance. 2. Computer glitches, a broken pen, a dropped phone call are different ways your team may interrupt the timing or redirect you. 3. Dreams are frequently used to communicate messages. 4. You trip, sneeze, drop something or are startled by a loud noise, these are all ways your guides deliberately get your attention. 5. Your intuition, sixth sense, gut instinct is your ‘internal compass’ and one of the main ways your guides and soul communicate to you. A little something for the New Moon. The Hellenic festival calendar is lunar based and the beginning of each month is marked by the appearance of the new moon. This usually takes place on the day after the astronomical New Moon in any particular region. The first day of the month is named Noumenia and it is a sacred day, dedicated to Apollon. On this day we honour all of the cherished Gods, and especially the Household Gods: Hestia, Apollon, Zeus, Hermes and Hekate. The base chakra is the first of the seven main chakras that are of a physical nature. This ‘red’ chakra is found at the base of the spine, the perineum. The base chakra is often dismissed by individuals studying the chakras, as many are drawn to the mysteries of the spiritual chakras. However, the base chakra is by far the most important chakra. Everything starts here. Remember spellcasting should not be done by anyone who has not been taught to do it safely and also doesn’t know that a spell was done on themselves or someone else will always have some type of consequences be they good or bad. So these timing tips are not to be used by people who no nothing or the proper way to cast a spell for your own protection and the protection of others. But there are times when a spell for example healing needs to be done right now to help someone or a person needs help financially or they may lose their home or their only transportation to go to work; these plus other things that come up in our lives may require an emergency spell to be done as soon as possible. This is the time when you pull in Universal Energy to give extra strength to your spellwork. For the next few days, there will be posts going up that you may want to print out or copy and save to a word document on your computer or at least bookmark the page, all the topics have to do with how to find out the best time to cast a specific spell. Add the time to your strong intention of how the spell is supposed to work and it, if the spell you are doing is right for you or whoever you may be doing it for you, may find it comes to fruition sooner and better then you expected it to. If you have any questions about this post or any of the ones to follow about spell cast timing please ask in the comment section below before you do you cast a spell. A spell not done correctly can backfire very badly on the person who cast it. I will put a disclaimer up that neither I or Coven Life are responsible if a spell goes wrong if you use the information I am making available on the worldwide net. Although Persephone is best known as Demeter’s daughter, the maiden who was abducted by Hades, lord of the underworld, the Greek version of her reflects the usurpation of female mysteries by a patriarchal mythology. In this version Persephone personifies the kore, the maiden aspect of the goddess. Her myth exemplifies the cycles of nature, for when Persephone is underground, plants do not bloom, and when she returns to earth, spring ensues. Persephone is the goddess of the soul, for it is in the darkness of the underworld (analogous to the unconscious) that the soul is formed. In the Orphic mysteries, Persephone granted wisdom to the initiate, for she is the goddess of a dark, uncomfortable wisdom, a goddess of dark and frightening power. Persephone represents the ability to rule over the aspects of ourselves that are terrifying in the extreme.